Our Dallas support group meeting on January 19th featured outstanding presentations and hands-on demonstrations of muscle activation and the Rolf method, which one of our new Dallas-area members has found very beneficial in addressing his FSHD issues. Note that these methods have not been studied scientifically for efficacy in FSHD; we are simply sharing patients’ experiences. Please consult your PT or doctor if you have questions about whether these approaches are appropriate for you. Noah Salih began his career as a fitness professional in 2004 and has dedicated himself to attaining knowledge to help others. Noah’s methods are unique to each individual, strengthening specific muscle weakness/imbalance while increasing the range of movement and lean muscle. With Muscle Activation Techniques and intelligent resistance training, Noah wants you to look good and feel amazing as well. “Your exercise program should not create more discomfort and pain!” he says.” I will enhance your body to better tolerate the stresses of life so you can excel in the activities you enjoy and feel better. 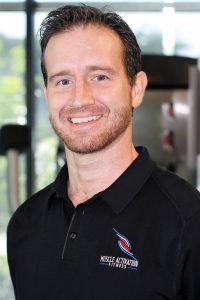 Improving your physical appearance is an added bonus to intelligent training!” Noah has training in several specializations, including Muscle Activation Technique Specialist Program. For more information, visit www.Muscleactivationfitness.com. 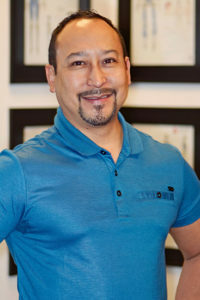 We thank Al Morales for helping to organize this meeting, and Muscle Activation Fitness of Plano, Texas, for hosting our meeting. I thought that this video was amazing and instructive. I live in Oregon . Can we get anything similar here? Try searching on such terms as Muscle Activation Technique, or Muscle Activation Fitness to find a studio in your area.